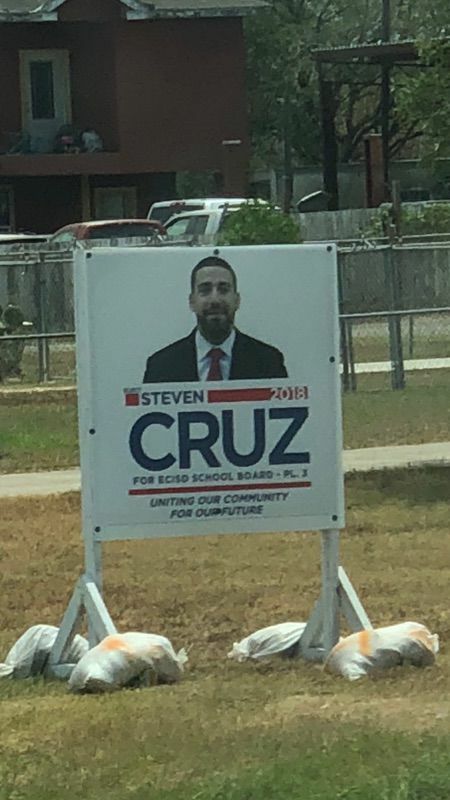 EDINBURG — Hidalgo County Commissioner Joseph Palacios addressed allegations Monday that a precinct employee who is running for a spot on the Edinburg school district used county sandbags to anchor his political campaign signs, calling the accusations politically motivated. Palacios said Monday his office learned several weeks ago of a “rumor” about Steve Cruz — who serves as his director of operations for Precinct 4 and is married to the commissioner’s cousin — regarding the allegations of misuse of county property. The rumors, Palacios initially said, prompted his office to refer the issue to the offices of Hidalgo County District Attorney Ricardo Rodriguez and Hidalgo County Sheriff Eddie Guerra for further inquiry. “We dealt with this issue pretty in depth to make sure these rumors were handled,” Palacios said, adding his office had not received any report of wrongdoing from either office. Sheriff Guerra, however, said Monday afternoon he was not aware of any such inquiry. Palacios later clarified his initial response to The Monitor, saying he had tasked Pepe Caso, the chief administrator for Precinct 4, to handle the matter. 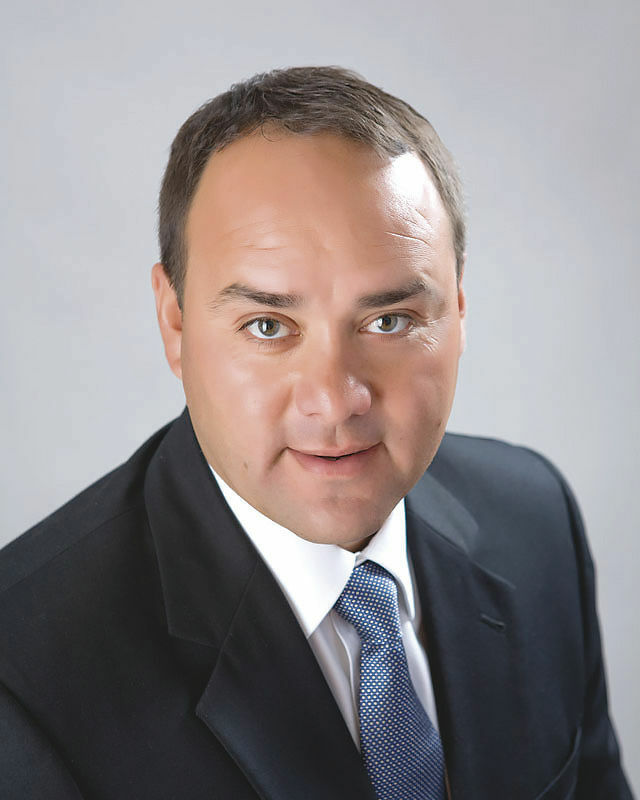 Caso worked with the DA’s office through Victor M. Garza of the civil division. The district attorney confirmed Monday evening Caso spoke to Garza about it two weeks ago, seeking legal and administrative advice. Palacios said “individuals have been questioned,” and his office had not found proof of theft. Cruz for his part denounced the allegations and provided The Monitor a copy of a receipt from the Lowe’s hardware store in Edinburg dated July 30 which showed 56 sandbags were purchased for $3.10 a piece for a total of $202.37. Cruz’s attorney, Rudy Moreno, pointed to a Sept. 15 Facebook post by Patrick Eronini, an outspoken critic of Cruz who has unsuccessfully run for elected office several times. Eronini declined an interview Monday, but his Facebook page features a post with about six pictures of what he describes as county-marked sandbags anchoring a political sign for Cruz. The sandbags in the unmarked location bare a similar mark to those found on bags distributed by Precinct 4: an orange spray-painted line. “It’s just one particular sign they’re alleging, but they’re trying to make it look like it’s multiple signs,” Cruz said about the pictures. Palacios contended the sandbags his office distributed could very well end up being used to anchor signs as his office has no control over them once they are in the residents’ possession. This story has been updated to correct Pepe Caso’s name as well as his job title.